Hey Siri, What’s New in Voice Search? Columbus, OH – In today’s marketing world, many of us are aware of what a voice search is and just how advanced voice searching capabilities have become, but, if you haven’t been keeping up, Alexa, Siri, Google Assistant and Cortana are the digital assistants on the rise to change the way we search. Gone are the days of having to scroll through a digital screen to find answers. With these tech tools, answers can be found in a matter of seconds through a single voice command and companies are benefiting from it. Forbes reported that in 2017, OC&C Strategy Consultants found that voice-powered commerce accounted for $1.8 billion of Amazon’s U.S. retail revenue. That number is projected to reach $40 billion by 2022. Digital assistants allow users hands-free, easy access to information related to their health. Unlike the traditional search method of manually typing a series of keywords into a search engine, voice searches allow users to ask a question with the same natural speech they would use as if they were talking to a friend. Have you ever been sick and sought the advice of medical websites such as WebMD to perform a self-diagnosis? In the past, a series of short key words were necessary to perform an effective search. For example, with a traditional search, a user may enter: symptoms of a common cold. With voice search, users may ask: what are the symptoms of a common cold? Instead of having to dig through piles of information for the right answer, digital assistants will search the internet and read back a short summary of the most relevant finding from the top-ranking results. Outside of identifying symptoms, digital assistants can also locate a nearby physician and schedule an appointment. According to Forbes, by 2020 30% of all website sessions will be conducted without a screen. BackLinko performed a voice search survey of over 10,000 Google Homes and found that the average voice search result loads in just 4.6 seconds – which is 52% faster than the average page. Ensuring that websites are responsive and compatible with mobile devices will help brands increase their chances of becoming a top-ranking result. Not only can digital assistants help with most day to day tasks, they can also talk to you and answer a majority of your questions. With consumers of a varying age range, BackLinko discovered that the average Google voice search result is written at the ninth-grade level. Keeping this in mind, users are looking for short answers that are easy to understand. An average response is around 29 words. We are now living in the age of “near me”. As Lisa Gevelber, Google’s VP of Marketing for the Americas, once wrote, “’Near me’ is no longer just about finding a specific place. It’s now about finding a specific thing, in a specific area, and in a specific period of time.” With voice search results, users are expecting answers to be relevant to their location. Consider the evolution cycle introduced in trend nine (System of One), dynamic one of the 2019 Health Trend Ten – the technology we use today will ultimately change healthcare expectations. In 2018, more than 40 million Americans were reported as owning a smart speaker – that number is predicted to climb to over 7.5 billion worldwide by 2021. Digital assistants are shaping the expectations consumers have for the healthcare industry and the content they provide online. With SEO in mind, brands will have to adapt their online content in order to remain relevant as competition for the top-ranked results grow. 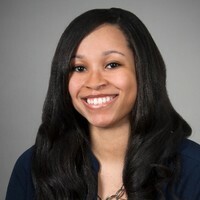 Khye Tucker is an Innovation Strategist in Columbus, OH. With a passion for writing and a background in communications, Khye strives to bring brand stories to life through a fresh perspective, innovative thinking and creative storytelling.